I've been reading through Victorian Family Celebrations, by Sarah Ban Breathnach, as the year unfolds. (Thanks for the great gift, Molly!) I was interested to learn a new meaning of "Christmas in July." The book explains that for many Victorian families, "Christmas in July" meant that it was time to begin preparations for homemade Christmas gifts. Since most gifts during that time were handmade, they took some planning, preparation and time. This must be why I've been having an urge to get my handmade Christmas list in order! When making homemade gifts, I like to plan ahead so that I don't end up spending the weeks before Christmas "slaving away." I find waiting until the last minute makes me anxious, stressed and grumpy, thus robbing the initial joy I take in making gifts. Here are some of my gift ideas and projects that I've either started, or plan on starting soon. She also made these bark-covered tin can pencil holders. If you want to join the homemade Christmas making, you can also check out some of my posts from last Christmas. If you're not the "handmade" kind of giver, but appreciate handmade things, try browsing through Etsy. In the next few months, I'll also be putting some new gift items in my shop. If you have gift item in mind, that's not in my shop, I'm up for taking custom orders. Feel free to drop me an email or leave a comment. Woo! That is some list I've got going up there. But it's nice to get it all down somewhere. I'd better start knitting, sewing, crafting. FREE SHIPPING on Nature Bags this week! I'm offering FREE shipping on nature bags and pillowcase dresses this week only! (July 29-Aug. 6) Here's a sampling. Visit Mustard Seeds Handmade for more items and photos. Whether they are in a forest, on the seashore or just in the backyard, your little one will love this tyke-sized gathering bag. Worn across the body, it leaves hands free to collect shells, rocks, flowers, sticks and other natural treasures. The oil-cloth liner makes the bag sturdy and durable and it easily wipes clean. Note: I don't have any boy-ish looking ones, but if you're interested, I'll be happy to grab some boy fabric in my stash and get one made for you. Just send and email or leave a comment. Summer is coming to an end, but there are still some warm nights ahead. These vintage pillowcase dresses are wonderful as nighties, but lovely enough to wear as a regular sundress as well. This super-soft vintage pillowcase dress is perfect for those warm summer evenings. Made from 100% ivory cotton, the neckline has encased elastic to allow for ease when putting it on. Your little one can dress herself without undoing the ties. Sizing: Because the tie straps are adjustable, this dress will fit most 2-4 yr. olds. To ensure proper fit, measure your child. Dress Measurements: Approximately 23” from neckline to bottom, 20” from bottom of armhole to bottom of dress. So until my genius techno-savvy hubby has me up and running again, I'm taking a short blogging break. I can still access email online so feel free to drop a line if need be. I know there are several tutorials for nature bracelets out there. Why not one more, right? Here's my version of making a nature bracelet. STEP 1: Gather up some natural treasures: flowers, petals, pine needles, pieces of pinecone, etc. STEP 2: Cut off an appropriate length of duct tape. Make sure it will fit around the wrist. STEP 3: Arrange your treasures on the sticky side of the tape. STEP 4: Cut a corresponding piece of clear packing tape. Make sure it's two inches longer than the duct tape. STEP 5: Wrap the extra ends of the packing tape around the back of the duct tape. This will help reinforce the hole for the ribbon. STEP 6: Punch a hole on each end of the bracelet. STEP 7: String the ribbon through the two holes and tie into a bow. Now, you have a lovely nature bracelet. Some of you may remember this post, where I displayed by Fisher Price Little People toys that I played with as a toddler. Now, Anne has her own set. This weekend is our last "scheduled" camping trip of the season. (Although, we may squeeze one more trip in during fall.) I'm looking forward to a knitting lesson with my mom by the campfire. We went a-berry-pickin. My parents are here visiting from California so I took them to the farm to pick black raspberries, which resulted in these red hands and few scraps from the thorns. However, it was worth it as the berries produced some wonderful jam and delicious cobbler. The last week, this verse has been very valuable to me. I deeply desire for Christ to take my every thought captive. My mind has been overwhelmed by ideas for blogging, sewing, Etsy shop, freelance work; my role and duties as mother and wife; and my desire to please the Lord. I am confident that the Lord WILL help me take all these thoughts captive so that I can think in a ordered manner and accomplish each day exactly what He wants me to accomplish. I've made several new jammie pants for Jack. I bought a package of white Hanes T-shirts at Wal-Mart to use for tops. "Yeah, for new jammies," Jack applauds. "Yes! These are so comfortable." "That's right--my mom is the best!" By the way, do you know how challenging it is to get an 18-month-old to model pants?...difficult. So, here's a little display of all four pants minus the Jack Rabbit who kept hopping around. P.S. 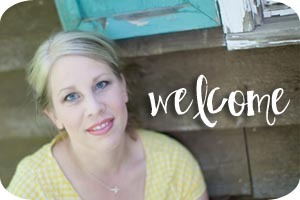 If you are interested in scoring some free fabric, be sure to enter Sheree's great giveaway here. Even the smallest fingers can help "grill up" these burgers. No BBQ required. STEP 1: First, place a small amount of coconut in a zip lock bag with a few drops of green food coloring. Zip up the bag and then use your fingers to work the coloring into the coconut. This is your lettuce. STEP 2: Put frosting into a small bowl and mix in red food coloring. This is your ketchup. Spoon the frosting into one of the zip-lock bag. Cut a tiny hole at the corner of the bag. You can now use it as a icing bag. Repeat this step to also create "mustard." STEP 3: Begin with your first vanilla wafer/bun. STEP 4: Squeeze on some "mustard." STEP 5: Put on your "burger patty." STEP 6: Squeeze on some "ketchup." STEP 7: Add some "lettuce." STEP 8: Now don't be stingy. You need your greens, so add some more. STEP 9: Put on the top "bun." STEP 10: Use your finger to smear a small amount of honey on top. STEP 11: Sprinkle on some sesame seeds. And the winner of the grand-opening giveaway is...Debbie! Be sure to check out Debbie's Etsy shop, Lillifee Boutique. She has some super cute little girl dresses in her shop. Debbie: Email me your mailing address and I'll send this zippy off to you.